Minneapolis has seen its share of pretty intense weather over the past few years. If it was our wet last Spring, or the very cold weather we experienced this Winter. With the range of weather-related issues comes the real and continued risk of electricity loss. Having lived through the intense heat and excruciating cold, the strain on our families is intensified with the loss of power. Therefore, installing a home generator is something that many families in the Minneapolis and surrounding areas are considering. Midwest Electric and Generator, Inc is an expert installer of the highest quality generators in Minneapolis and surrounding areas, and we highly recommend our clients consider them to keep their homes, and their families, as comfortable as possible. A backup generator can generate power to keep your home running even after the power goes out.Whether this is due to an outage from a weather event or caused by heavy rain, winds, ice, or other elements, you want to make sure your sump pump has electricity to prevent your basement from flooding, or your furnace on when it is cold out. As with most things, there are a variety of size options for backup generators, Midwest Electric and Generator, Inc installs many different types in the Minneapolis and surrounding areas. What is the Cost of Installing a Generator? Generators can vary in cost, depending on the exact size you need, and where your utilities are connected. A competent and expert generator installer like Midwest Electric and Generator, Inc will include a turnkey project, that will include all parts, permits, and labor for the installation. Midwest Electric and Generator, Inc offers free site visits in the Minneapolis and surrounding areas. 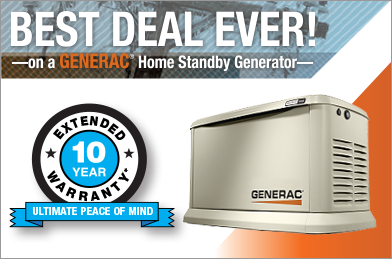 They also are a provider of Generac, GE Generator Systems, Kohler, Winco, and Cummins standby generators.